With the “flattening” of the world it sometimes seems that business is more and more about getting a sale at any cost. It seems to be about how many transactions you can make of ever cheaper stuff that doesn’t last more than a couple years. Many businesses don’t seem to have a soul anymore. We have made many accomplishments during our years in business, but nothing is as important to us as the trust we have earned. We never forget that thousands of mothers and fathers trust us to protect their family from potentially dangerous contaminants in their drinking water; athletes trust us to provide the best water for maximum performance; dentists, laboratories and multinational corporations around the world trust us to provide high purity water that protects their expensive equipment; and governments and high-security facilities rely on us to provide the highest level of biosecurity protection for their staff’s drinking water. 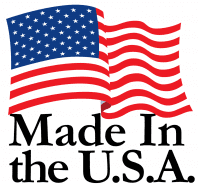 We make the best products in the world. This is why we still focus on premium water distillers when 99%+ of the water treatment industry moved to cheaper and less effective filters and reverse osmosis systems. Within the water distiller industry, we were the first and we are, and always have been the best at what we do. We have never wavered from this commitment to making the best systems and only the best systems. We educate people on our higher purpose. We strongly believe in the importance of providing people with pure water. It’s not just a job; we see it as a mission of ours and we work to educate people on the truth about water. We do what we say we will do. We believe that the only way to business is to be honest and straightforward. We produce something that has a tremendous value and we sell it for a fair price. Worldwide global support. We have an amazing technical team that travels all around the world to provide support for our larger commercial products. Our technicians provide unmatched support and for this our customers are grateful. We thank all of our customers for having faith in us over the years and we commit to keeping true to the Soul of our business and continuing to improve our products and services.